You’re a digital marketer new to B2B and you want to know what B2B marketing tools are best for your company. You aren’t familiar with the landscape of tools out there and don’t even know what some of the popular tools are or do. You want to find out the best gadgets proven to produce effective lead generation for B2B but you don’t know where to start. If this is you, then, you are in luck. At WebMechanix, we have served many mid to large B2B companies over the years we’ve been in business. We’ve tested tools. We’ve axed tools that didn’t make the cut. We’ve generated amazing ROI by constantly searching and learning about new digital marketing tools. But common sense isn’t so common. Google Analytics is a B2B company’s bread and butter for getting valuable insights on how visitors are interacting with the site. It should be your foundation for analyzing your online marketing performance. There are plenty of free and fantastic tutorials on how to set up Google Analytics out there. NetLine is our secret weapon and the king of B2B lead generation tools. It is a content syndication lead generation network made specifically for B2B marketers. NetLine is great for providing quality leads and it operates on a pay-by-quality-of-leads model. The nice part is that even niche industries can get leads. All lead volume is guaranteed and you know the full cost upfront. The quality of leads, and thus pricing, is determined by the targeting criteria you use. Therefore, make sure you have good targeting or your leads may not be the quality that you desire and you will still have to pay for them. Usually, the more specific the targeting, the higher the cost-per-lead. To get started, all you need is one piece of content that prospects in your audience actually want. This content will be used as a lead magnet. There is a lead purchase minimum: you must get at least 25 leads per piece of content used. Cost-per-lead is dictated by targeting – so controlling targeting is how you control your investment. We’ve had the most success targeting the US and UK over other regions. You can get granular with industry and firmographic targeting, which is useful. First off, what is Account-Based Marketing or ABM? It’s a form of advertising that is focused on hyper-targeting specific individuals based on their personas. A typical marketing funnel starts wide at the top. It slowly narrows down the prospects by sorting them by quality and relevance, while nurturing and identifying the ones who are willing to buy. 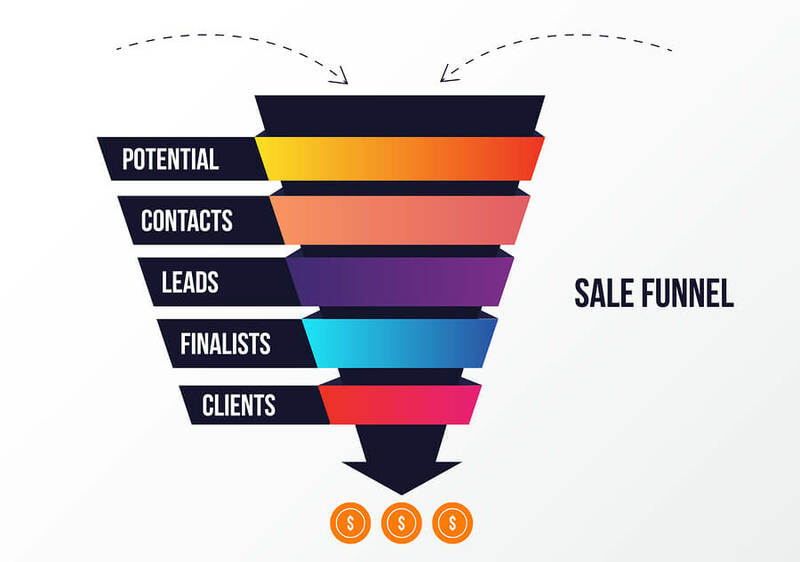 A typical marketing or sales funnel. ABM starts narrow by identifying a few select, quality leads and engages them to buy over time. 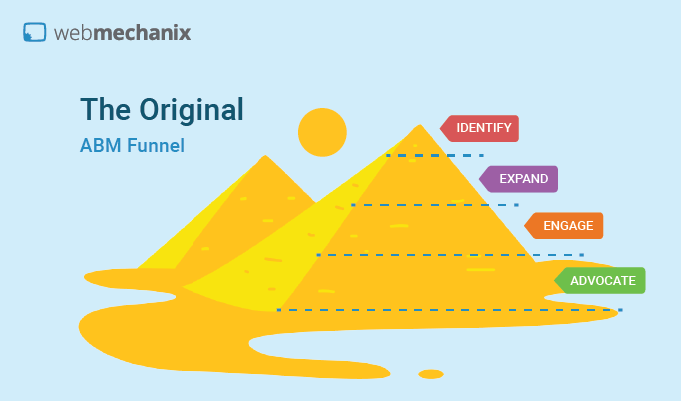 ABM works because one successful sale in B2B can be as valuable as an Egyptian tomb piled with treasure. Why? This method is great for B2B since you can reach high-quality leads, decision-makers who can write the checks, with personalized messages at cheaper costs since you aren’t targeting as large of an audience as B2C. ABM platforms are the secret B2B marketing tool that will get you ahead of competitors. 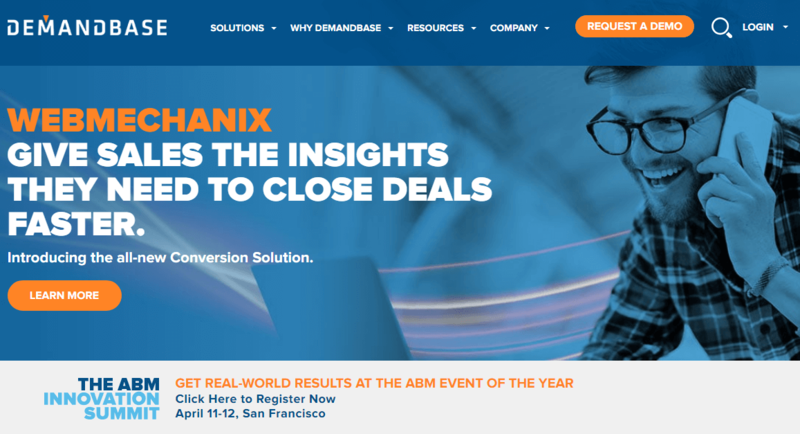 There are tons and tons of ABM platforms out there that offer valuable personalized data for your ads, like Demandbase, which illustrates its power of personalization on its homepage by somehow finding your company name and addressing it in its headline. For targeting based on organizational characteristics, such as number of employees, revenue, industry, or job function, there is LinkedIn, Terminus, and AdRoll. For targeting based on emails, ads, etc. based on visitor data and behavior, there is Triblio, HubSpot, Marketo, Engagio, and Demandbase. For targeting based on IP addresses, this includes El Toro and Terminus. For targeting based on web user behavior such as page views, search queries, future-based actions, this includes: Bombora, The Big Willow, and G2 Crowd. Most of these platforms offer a $100 to $300 credit as a free trial, often in a pop-up box. Make sure you use these or you will lose unnecessary money. We almost missed this ourselves and ended up asking customer service about it since we already signed up. A word of warning: getting too personalized can get creepy, which can turn off prospects. Just because you know detailed data of a prospect doesn’t mean you have to explicitly call it out. We had to ask reps (via chat) to make sure our ad impressions were only counting if they show above the fold where users may see them. There was no way to actually verifying this. We had to take their word for it. Very vague reporting. How they were getting their leads was hidden behind a curtain. We didn’t trust the accuracy of results — yes, we got clicks but how many were accidental? Placements weren’t ideal (they included videos, mobile apps). You couldn’t easily exclude all apps, videos, etc. Ads were created on an individual basis and so time consuming it wasn’t worth doing. Phone calls are a crucial part of B2B because they can account for a large portion of the sales. Higher-ticket purchase often require human contact with a sales representative to convince persuade someone. That’s where CallRail comes in. Without CallRail, marketing attribution (a.k.a. deciding which marketing channel gets credit for a sale), becomes a chaotic mess. CallRail assigns custom numbers to all the numbers displayed on your website. This will let you prove to your boss that a lead or sale came from an online rather than offline source. You can even get detailed with the reporting to identify which page or placement a phone number works best with. 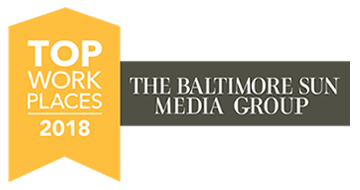 When it comes to top B2B marketing automation tools and B2B sales tools, we like to consider HubSpot at the top of the list. HubSpot allows you to build out “workflows” that automate email marketing. Depending on a user or lead’s attributes and actions, you can schedule specific email follow-up sequences that nurture and convert leads in personalized, cost-effective ways. Google Analytics is great for data on your users, but you’re missing a huge piece of the puzzle if you mistake the qualitative data with the heat mapping, polling, and user recording software that Hotjar provides. Hotjar has an easy-to-set-up tracking code and easy-to-use user interface. Setting up polls, heatmaps, or recordings for specific web-pages or demographics (geography, device type, etc.) is intuitive. You can unearth some great discoveries from this data that you can’t from just looking at numbers in Google Analytics. For example, a page can have a good average time on page but that may be because people are frustrated with finding a specific piece of information but want it so bad that they’re willing to spend the time. If you don’t like Hotjar, there are other similar tools out there to choose from, including Lucky Orange and Crazy Egg. Email on Acid and Litmus are both email marketing quality assurance and preview tools. You don’t want to send out marketing emails to your list that are poorly formatted, don’t actual land in their inbox, or render improperly because of their specific email client. These tools help you preview and test emails to check on deliverability. Email on Acid’s pricing is from $44 to $260 per month. And Litmus’s pricing is from $79 to $400 per month. It has an Enterprise option that doesn’t list the price on the site. Along the theme of previewing and testing for proper loading and accessibility, there is BrowserStack. This website lets you quickly test how a page loads based on every browser type, device type, browser, version, and device version imaginable. You can quickly see how the pages load with screenshots or web-based versions of the devices you can interact with. Why reinvent the wheel? When it comes to AdWords ads, your competitors may have already spent years and tons of budget to test out different appeals to see what creatives motivate your prospects the most to click and/or buy. With PPC competitor tools like SpyFu, you can see their ad testing history and budget to learn from their mistakes and save money. Our PPC management teams use SpyFu frequently and we recommend it. Social media has become a large force to be reckoned with. Some say it isn’t applicable in B2B since the topics are more boring and people on social media don’t tend to talk about them or get as many social shares from them. While this is true, that is not to say that social media is useless for B2B at all. Plenty of B2B articles are shared on LinkedIn, for example, a huge social network for professionals. BuzzSumo is a great tool and key to effective B2B content marketing strategy. Use it to identify the most socially shared content on a topic or from a website you specify (even for competitor analysis). We recommend sorting shares by LinkedIn shares first before Facebook because that’s usually where more of the B2B eyeballs are. SEMRush or Moz Pro are two of the best SEO tools money can buy on the market right now. They give similar services, including keyword research, keyword tracking, backlink reporting, and SEO audits, so take your pick. 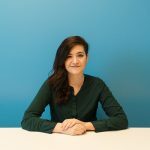 I did an in-depth article on SEMrush vs Moz if you want more details. Try out SEMRush for free yourself by entering in a URL or keyword below. Full disclosure: Since we’ve switched and we’re savvy entrepreneurs, we set up an affiliate account with SEMRush. That means that if you try out SEMRush through the tool below and decide to purchase, we get a commission at no extra cost to you. Google Keyword Planner or Google Trends are free options for brainstorming keyword ideas and finding search volume but the volume it gives you isn’t always accurate and more of an estimate. If you do choose to go with this option, spend just a little bit of money in AdWords and Keyword Planner will give you more specific search volumes (rather than a range). Digital marketing is always about staying on the bleeding edge of tech because tools are constantly falling in and out of favor. We recommend staying up-to-date with review sites and marketing blogs to keep up. 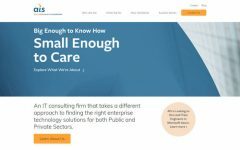 One of our favorites is Capterra.com. This is Google’s free service that allows you to move, change, and test different elements on your site to improve conversion rate. We’ve been using a tool called Optimizely but Google has once again stepped up to the plate and offered an option that is just as good, if not better. Along the lines of Google’s new tools, Data Studio is a fantastic free way of creating beautiful visual marketing reports that displays data that your boss can dynamically update on the spot. It allows for awesome customization. 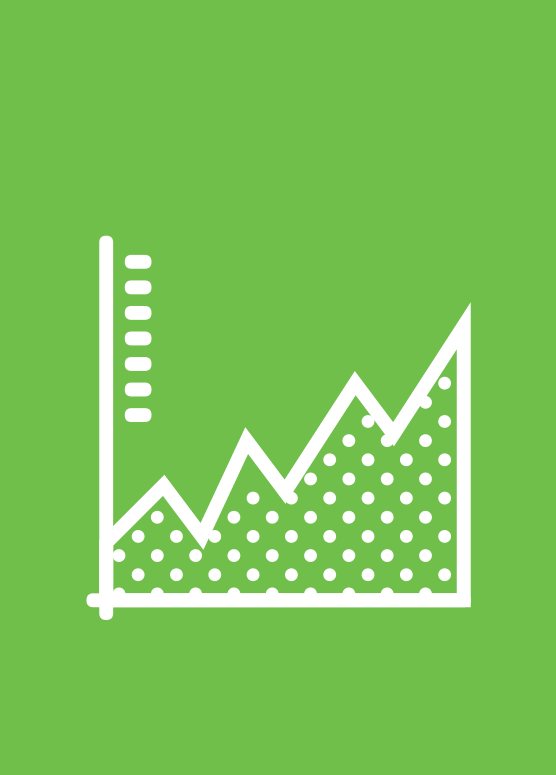 You can put charts, graphs, timelines, tables, text, or metrics where you want. It pulls in data directly from API’s and other sources so that you get real-time data that you can manipulate by time period. We have a free webinar that explains how to build dynamic reports in Data Studio. Creating beautiful landing pages that meet you and your boss’s needs takes time. Sometimes, you have specific desires that you need done and you don’t have the development team or work capacity to finish it. That’s where Unbounce comes in. While there are “take-and-edit” landing page template platforms that are popular, like Leadpages, Unbounce offers even more simple, convenient customization by letting you drag, drop, and move around different elements wherever you want. Growbots uses artificial intelligence to automate lead generation, outbound sales, and email campaigns. We with work a lot of companies in B2B and have years of experience testing these tools out, so we know what works and doesn’t. There is a distinct difference between B2C and B2B. While some tools are useful in both areas, other tools, like ABM focused tools, are specific to B2B. On the other hand, some tools like BuzzSumo are useful but may have to be used differently for full effectiveness in B2B based on the nature of the industry. These B2B marketing tools will get the best ROI in the B2B industry. What’s your favorite tool on this list? Which tool on the list were you unaware of and are most interested in trying out? Let us know in the comments. P.S. if you want a free audit, grab it here now.